It contains a versatile selection of pencils, ranging from a crisp, non-scratchy 9H to a soft, smudgy 9B – enough to handle all your everyday drawing. Each pencil has a smooth, finely textured graphite strip and a hexagonal barrel that’s comfortable to hold. The pencils are easy to sharpen to a good, long-lasting point. 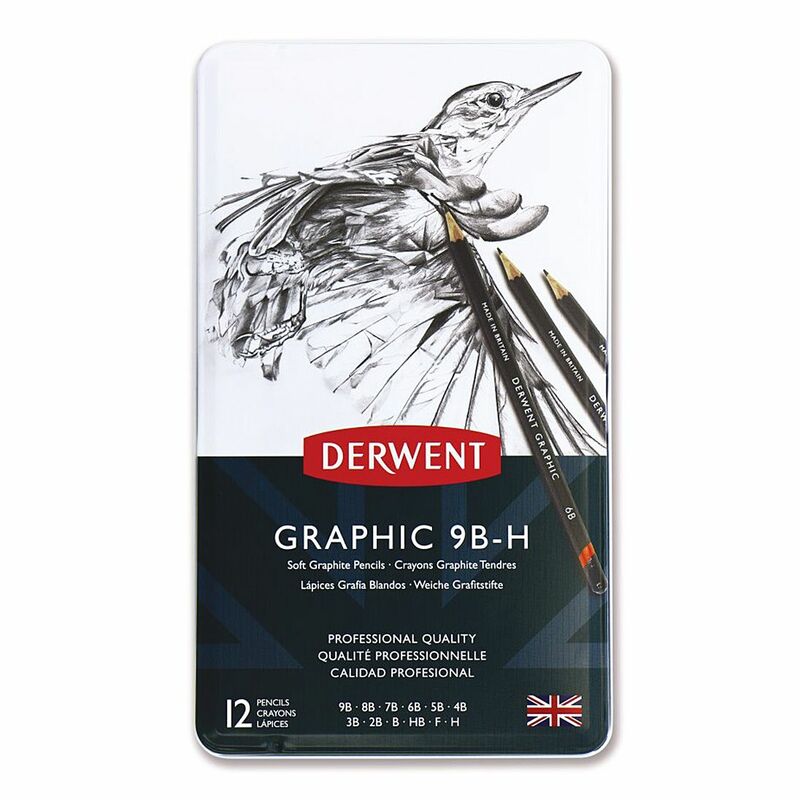 Good-quality pencils are an essential tool whether you’re a professional artist or just starting out, so it’s easy to see why Derwent Soft Graphic Sketching Pencils are so popular.